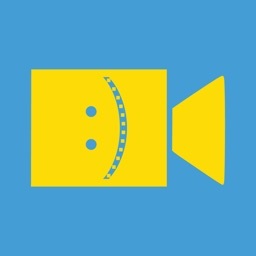 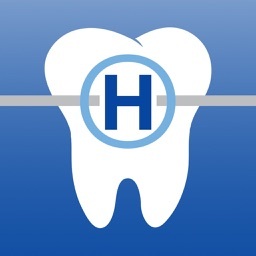 Create a time lapse video of your treatment, schedule text notification reminders to change or wear your elastics, aligners, or retainers, "try on" different braces colors, and easily contact the office through the app! 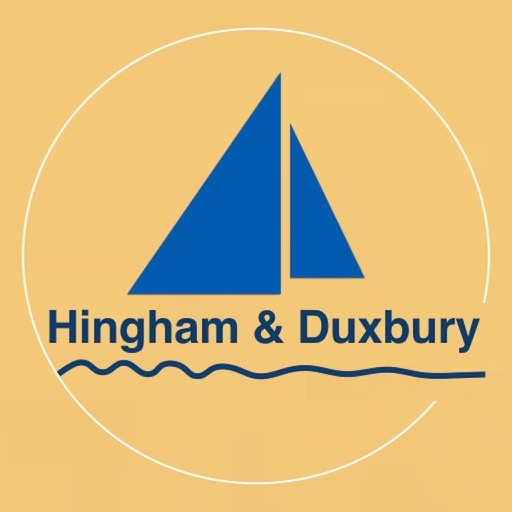 Create a time lapse video of your treatment by Hingham & Duxbury Orthodontics documenting your progress to a beautiful smile! 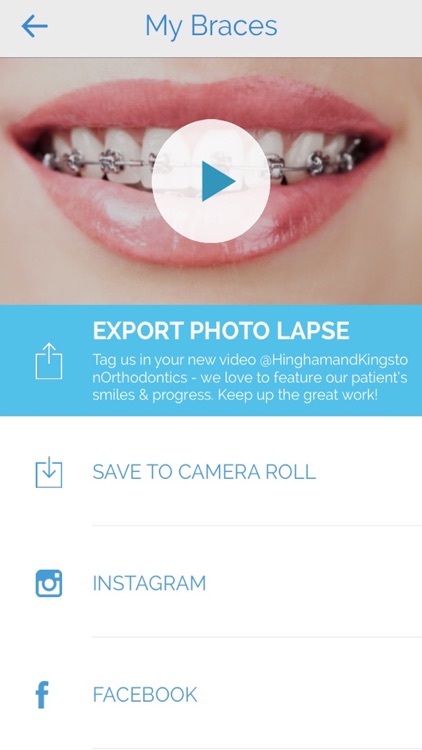 The finished time lapse of braces treatment is easily saved to your camera roll and shared via Facebook and Instagram to show off to your friends and family! 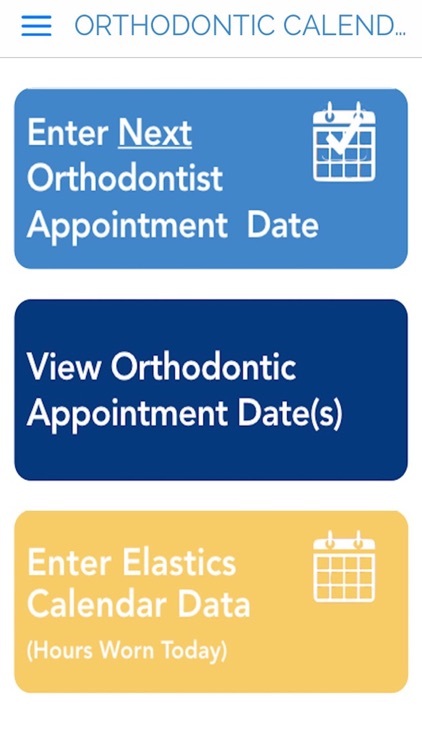 If you tend to forget to change or wear your aligners, retainers, or elastic bands, we have a feature that can alert you to when the next time to change it is! 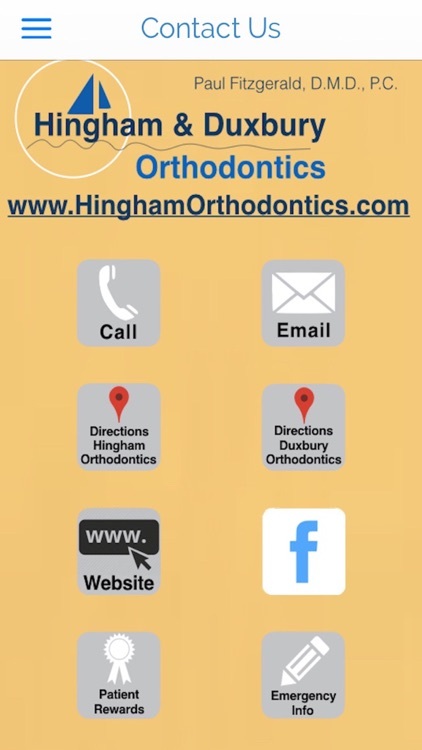 Schedule text notifications to help you follow Dr. Fitzgerald's instructions on changing elastics, aligners, and retainers. 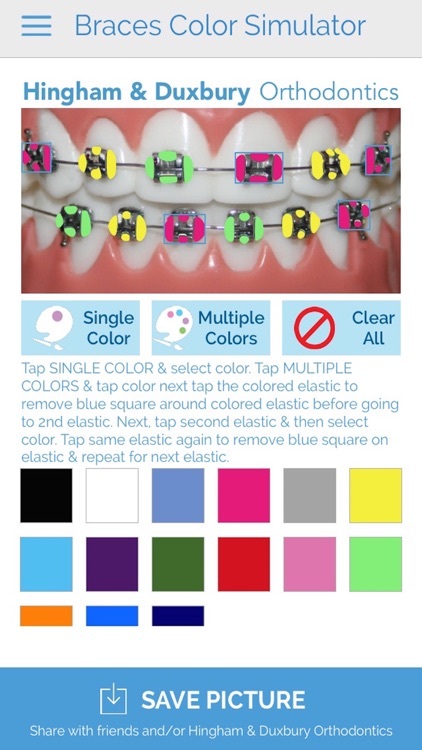 "Try on" different braces colors on a teeth model and share with friends, family, and Dr. Fitzgerald! 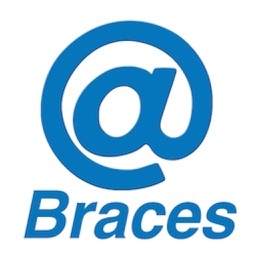 The braces color simulator makes it so easy to "try on" different colors to see what they would look like. 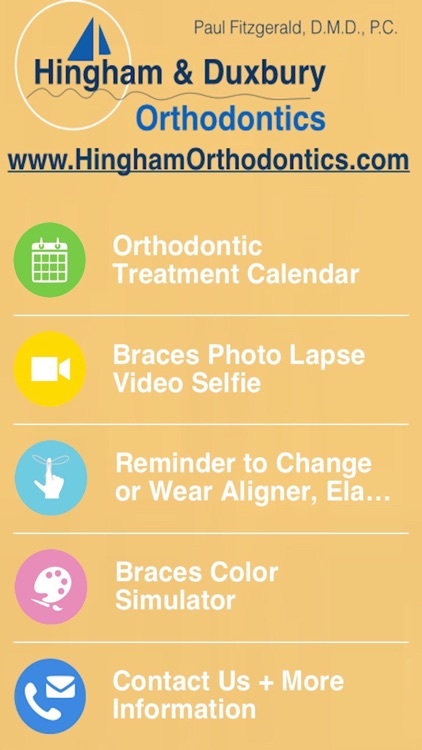 During your next orthodontist appointment you can show Dr. Fitzgerald to let him know which colors you would like! 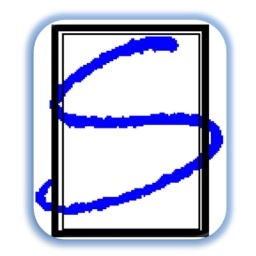 Conveniently contact the location of your choice via phone, email, or Facebook- all from the app! You can also look up directions to the office, connect to your rewards account, or visit their website easily through the app.